To build a winning car, you need tuned and trued winning wheels. The lighter your wheels, the faster your car will go. Add our exclusive graphite-coating to gain even more speed. Lighter is faster! BSA Ultra Lite Speed Wheels are 2.2g and track test results showed speed increase of .747 seconds. Exclusive Pinewood Pro graphite coating on tread and hub reduces track friction and hub friction. Track tests show average speed increase of .497 seconds. Our Fastest Wheels! All the speed of Ultra Lite Wheels, with added advantage of graphite-coating on the treads and hub. Track test results show an average speed increase of .827 seconds. Our lightest and fastest wheels, but they are NOT for Cub Scout BSA pinewood derby races! We took all the material off that we can to give you a 1.2g wheel with track tested speed increase of 1.5 seconds over stock wheels. Spare set of 4 official BSA wheels and axles. Good for experimenting or replacement parts. Official AWANA® Grand Prix Wheels lathed to perfection. Precisioned tuned for optimal performance. 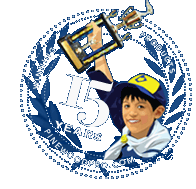 Want to make a vintage 1953-76 pinewood derby car? Limited supply of original Betacrafts wheels/axles! Just like the wheels on your car, a finely tuned and balanced wheel is going to make your car ride smooth, straight and fast. All of our Speed Wheels have been lathed and trued up in five different areas to give you the fastest wheels possible, and we do this without losing ANY of the BSA markings inside and outside the wheel including the beads along the outer rim. The following areas are lathed; outside tread, inside tread, tread rim, outside hub and lastly, the hub is squared so your wheels rests squarely against the car body. Pinewood Pro exclusive graphite-coating on the outside wheel tread and hub reduce friction further to gain even more speed.